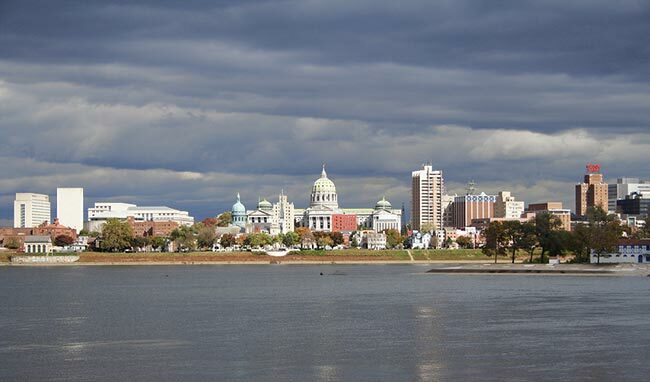 As the capitol of the Keystone State and the center of a metropolis with more than half a million people, Harrisburg exerts outsized influence on the Commonwealth of Pennsylvania. The city is home to a host of businesses, festivals, museums and universities, each of which bring wealth and culture to everyone in the area. ExpeditedFreight.com offers deliveries into and out of the Harrisburg region. As an express trucking company with a focus on automotive clients, we uphold the highest standards of speed and safety, so that Harrisburg can get everything it needs well ahead of any deadlines. Among the many important roles that Harrisburg plays is as a center of the automotive industry. Not only does the town have its fair share of auto retail and service businesses, but it is also the site of the Pennsylvania Auto Show, which brings together automotive manufacturers, suppliers, and other stakeholders from across the country. To keep this show and its many participants thriving, Harrisburg needs to bring in auto supplies and resources regularly from across the country. It thus depends on carriers that can deliver safely and swiftly while planning around traffic and other sources of delay. ExpeditedFreight.com caters to all of Harrisburg’s needs, particularly those of its automotive industry. We deliver directly to and from Harrisburg proper, Lancaster, Hagerstown, State College, York, and Reading, maximizing speed and safety all the while. With us as their carriers, local businesses can be confident that they’ll get all the parts they need on time and in mint condition. Rather than just taking the shortest and best-known roads, we identify multiple different routes and choose the best one based on traffic, weather, and other factors at any given time. This minimizes the odds that we’ll run into delays while on the job. It also ensures that there are as few threats as possible to your inventory, so it all arrives in pristine condition. Besides planning, ExpeditedFreight.com uses a vast shipping network, with coverage and vehicles in every major Canadian and American metropolis. 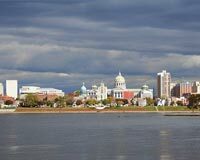 This gives us an advantage when shipping into Harrisburg, as we’re sure to have a vehicle within a few hours of your starting point. We can thus load your goods quickly and head straight for the city. Likewise, if you need to ship from Harrisburg, we can guarantee that we’ll have teams near the endpoint who can unload your inventory. ExpeditedFreight.com depends on our staff for success. We hire only the best drivers, support personnel, and customer service experts, and make sure they all have the resources they need to do their jobs right. We go to great lengths to ensure that our drivers are sufficiently rested for the job, notably by sending them in teams of two and requiring them to take turns resting. As a result, we can deliver at maximal speed with minimal risk. No matter your industry, ExpeditedFreight.com is committed to delivering your items swiftly and safely. For more information or a free quote, call (215) 989-4444 or visit our website today.